The premier live album that can taste the “70’s IRON MAIDEN” before the debut. Untamed member, Tony Parsons & Doug Sampson was also enrolled in the super-precious recording is on permanent storage press CD appears! Originally, the founder Steve Harris formed IRON MAIDEN on 25th December 1975 (there are also materials to be in May). I will start live activity the following year, but its lineup was far from MAIDEN we know. The basis based on the present was born after three people, Dave Murray and Paul Diano, got together in 1978. After that, I tried to debut while switching these drums with the second guitar with these three people as the core. The record of such a pre-debut era is extremely valuable. Because it is a good opportunity, let’s organize here. …… and it looks like this. From the earliest “THE SOUNDHOUSE TAPES” of the Diano era, fine recordings are taking place, but most of them are studio sessions (all of us can enjoy at our store “THE ULTIMATE COMPILATION 1978-1981 (Zodiac 167)”) . The live recording of the stage is only three “September 10, 1979” “September 30” “October 5”. This work is the live album of “September 30th” with the best sound among them. That quality is exquisite. Although it is not a type that is called “just like a sound board” for vintage recording alone, firm sounds and singing voices of the core jump into the clear air feeling. Moreover, enthusiasm of the workplace does not come in between the performance. As the song starts, as if it were a Japanese performance, only the performance dominates everything, and you can fully taste the extreme metal. As a matter of fact, even with the above three types, “September 10” recordings are far away, and “October 5” recordings are explosive sounds. When this “September 10” recording appeared, maniacs all over the world stood darkly as “a recording that can finally hear properly” came out! Moreover, this work is further polished to the ultimate form with a meticulous remaster. Actually, the published original sound is furiously late pitch and unstable. 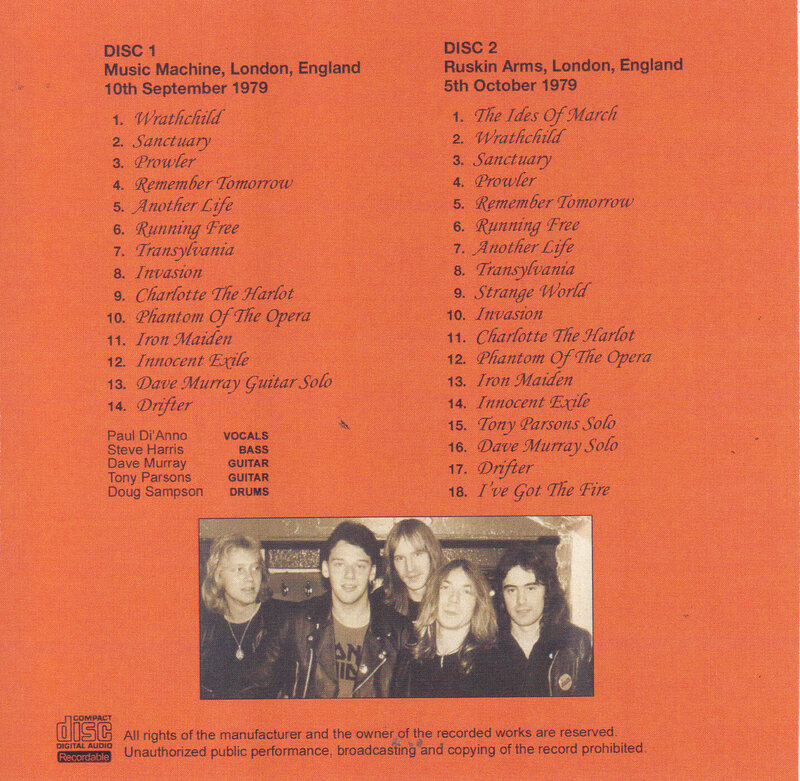 In addition, “Running Free” and “Iron Maiden” had cuts of missing recordings. Of course, this work correctly corrects the pitch (for this reason the total time is short, but this work is normal), and furthermore the cut / part was the same music machine show “September 10 Completion with recording. Unfortunately because the encore part was not recorded, it is unrecorded but you can enjoy the super valuable live of 10 songs. And more than that sounds the whole story. Although the recording itself is the best in 1979, this work has updated its highest peak. Of course, I do not do soundless pressure creation like unreasonable anger, prepare each range, and pursue “ease of listening”. Increase the sense of transparency of the venue and improve the separation of each instrument. The distance got closer and closer, yet it finished in a sound that does not lose the sense of the original sound’s vintage. When saying the splendor of the extremely early stage drawn with such sound! 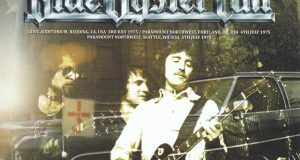 You can enjoy the early version of “Remember Tomorrow”, “Charlotte The Harlot”, “Phantom Of The Opera” that you could not hear even at studio sessions such as “THE SOUNDHOUSE TAPES” “FRIDAY ROCK SHOW” “METAL FOR MUTHAS”, “Prowler” Even if it is “Invasion”, the visionary Tony Parsons plays. 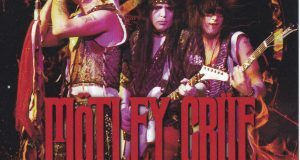 The rhythm guitar is a little rock and roll style, and familiar masterpieces are heard completely differently. And youthful momentum! Although the above studio session group was a performance of adult shame which makes it sure, this work is a genuine stage. Although it will not lead to a professional explosion like the first visit to Japan, passion which is cheerful towards debut is full open, Diano’s amazing shout is also incredible. Doug Sampson’s drum is somewhat unusual, but this uncanny is the taste of the very early MAIDEN. It fades in the debut work, the body odor of the NWOBHM band which has almost disappeared in “KILLERS” smells intensely. Just NWOBHM. That authorization. It surprises the world with “virgin of steel”, and continues to sweep the world for nearly 40 years afterwards, but this work is its fate of movement. 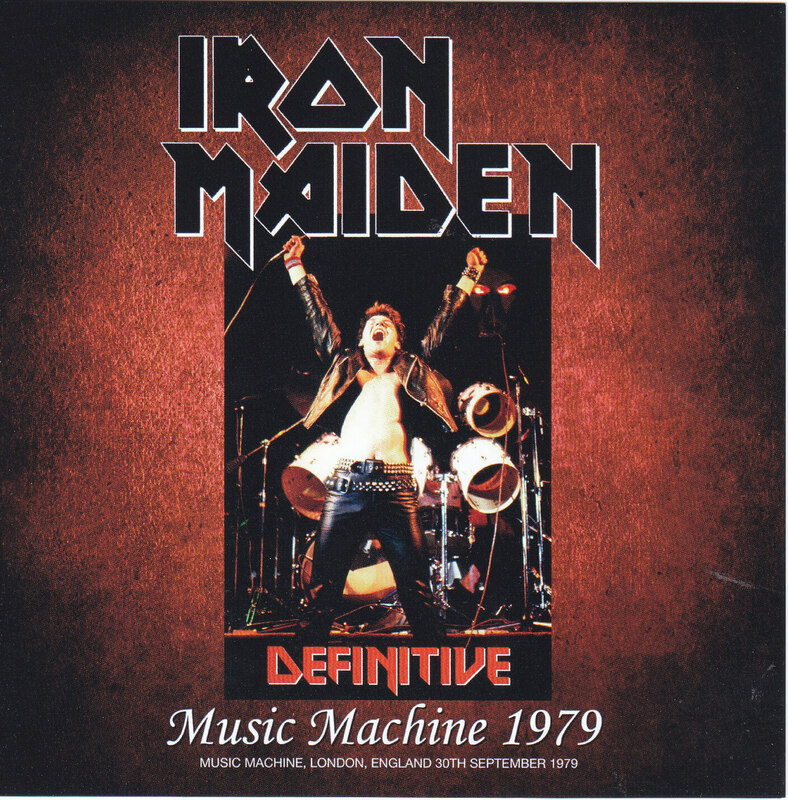 It is also the highest peak live album of ’70s IRON MAIDEN’, but at the same time NWOBHM is also the document album that sets the scene which was burning the hotest. One piece that refined the cultural heritage to the ultimate quality more than the valuable lineup can hear. Please, enjoy with the permanent preservation press CD fully. Main press CD is the decision board of the live album which becomes the highest peak before major debut. Although I mentioned in that commentary, Tony Parsons & Doug Sampson was in 1979 when there were 3 stage records in total. So we have prepared a bonus that can complete the collection at once. Such a work is contained in 2 performances. “September 10, 1979 Music Machine Performance” and “Ruskin Arms Concert on October 5, 1979”. Both are vintage audiences known for a long time, but this work set the highest peak master. The masterpiece that can not be heard with the main press CD as well is the decision board of the mountain rank. Let’s introduce each disc individually. 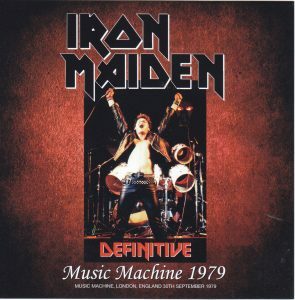 First of all, it is an audience recording famous as “MUSIC MACHINE of 1979” from long ago. It is a live performance at the same venue 20 days before main press press CD. Such a work flowing out is a vintage sound that will overwhelm the historical mood. It was neatly used just for complementing the main press CD, and the musical tones are comfortable and comfortable. Various versions such as re-master by mania have been on the market only since representing 1979 for a long time, but this work is the longest among them and contains the “THE EARLIEST DAYS 1979” version which has the best sound. The live unfolded with that sound is delicious 3 songs + 3 Dave Murray guitar solos that can not be heard on the main press press CD. Moreover, the three songs are “Another Life” “Innocent Exile” “Drifter”. Already since “Parsons & Sampson” era “KILLERS” number was also playing a lot. Disk 2 on behalf of the main press press CD will be recorded after 5 days. This is also a famous recording from a long time ago, but the use master of this work appeared only recently. It is the highest peak digitized directly from the 1st Genes · cassette excavated by the prestigious “Krw_co”. That sound is really fresh. As we used the “THE EARLIEST DAYS 1979” previously, we did not make a big upgrade as we used a carefully selected master, and it did not turn into a slightly explosive sound recording. However, the freshness unique to 1st Gen is certainly felt, the transparency of air feeling is still the best this work. Originally a powerful thick core was a delicious recording, but its power and sound are transmitted to Vivid to detail. And this disc is also the longest record of “IRON MAIDEN in the 1970s”. Not to mention the main press press CD, I can listen to ‘The Ides Of March’, ‘Strange World’ and ‘I’ve Got The Fire’ longer than Disk 1. With “Strange World” in particular, it covers all the debut work “Virgin of Steel”. It can also be enjoyed as a precious member of the Daimyo board & developing version. Also pointed out that “The Ides Of March” is taken up from this period. Although the former member Thunderstick brought it to SAMSON, it is a song that was previously announced under the name of “Thunderburst”, but it was still showing off at the live show before SAMSON announced (June 1980). It is also historical evidence. Parsons’ guitar solo is more precious than that. In Disk 1, Murray took the solo immediately after “Innocent Exile”, but in this work Parsons first played solo, and then Murray followed the solo battle. IRON MAIDEN is a rare solo time, but Parsons’ solo is correctly only for this work, it is a super valuable scene here only. 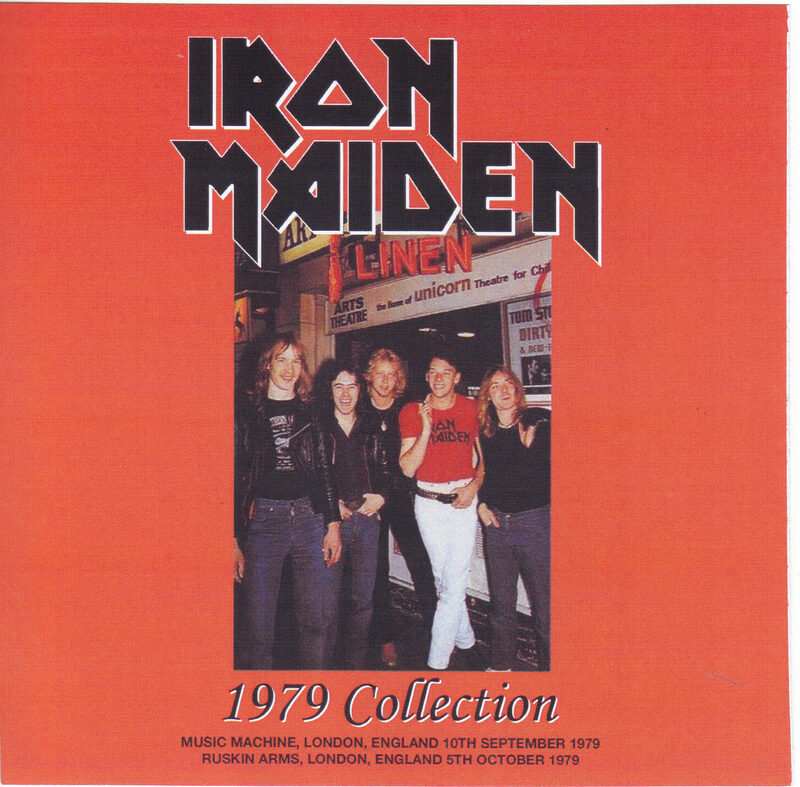 IRON MAIDEN of 1979 which had not been working yet, but all the songs of ‘Virgin of Steel’ overturned history. It is a set that can complete the highest peak of such precious stage record at once. Quality is the main press CD is the top, but there are two sets of famous songs over the top. 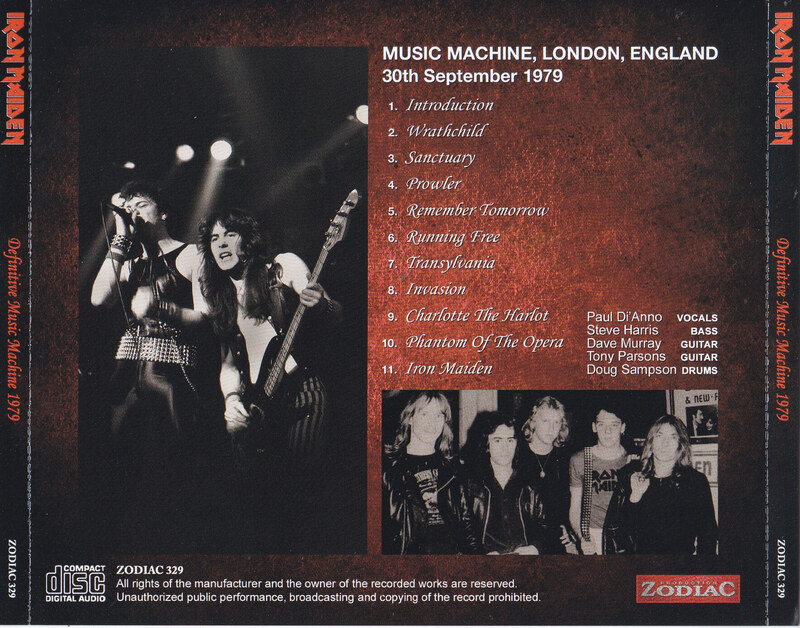 Please take this opportunity to fully appreciate them who were standing in the middle of NWOBHM.